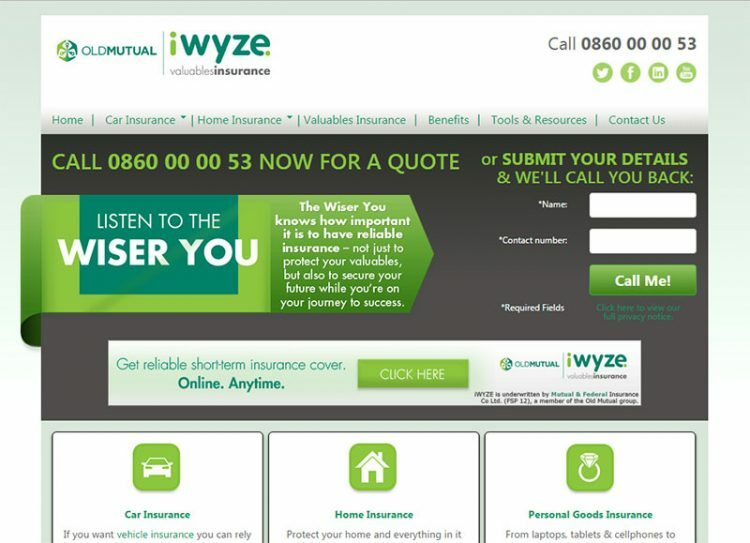 ThriveOnline approached iWYZE with a concept for a multisite (iwyzeinsurance.co.za); a “cluster” of sites that had the same look and feel, but operated independently. These would behave as “satellite/ lead generation” sites for the main iWYZE.co.za site. The site design and wireframes were handled externally, while the HTML5, CSS, jQuery and functionality were my responsibility.